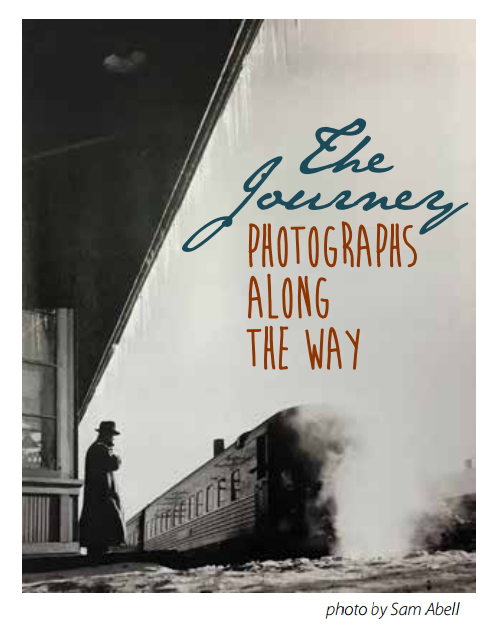 The Morean is pleased to invite photographers currently residing in the US to submit entries for possible exhibition in the 2016 national photography exhibition “The Journey: Photographs Along the Way.” This exhibition will be held at the Morean Arts Center, January 12-February 26, 2016. Heads down, earbuds in, often we are so consumed with getting to the destination we don’t notice the interesting world around us as we travel. What does this world of travel look like? The Journey asks photographers to portray everything but the destination. Think about a journey, from epic to ordinary commute, and all that goes into it–the packing, the navigation and the way you get there. The trains, planes and automobiles, yes, but also the biking, hiking and boats. Consider the places you stay–the hostels, hotels, motels, tents and backs of buses. Think too about the emotional ups–and the downs–of travel itself. Photographs of travel’s well known moods–the boredom of waiting as well as the exhilarating anticipation of arrival–are also what this exhibit is about. It’s The Journey, not the destination. Entry procedures: All entries must be made using the online entry system. CLICK HERE TO ENTER. January 14, 2017 – Opening Reception, 5-9pm. Award announcement time TBD. Eligibility: The exhibition and competition is open to all artists (age 18 or older) who are residents of the US. All work must be original, completed within the last two years, and not previously exhibited at the Morean. Please keep post production to a minimum, no composites. Images may be color or black & white. The juror has the final authority for selection. All work must be for sale. Liability: All reasonable precautions will be taken by the Morean to ensure protection of submitted work upon receipt at the Morean. Work will be insured for the duration of the exhibition while on site at the Morean. No liability will be assumed by the juror, sponsors, or the Morean Arts Center personnel connected with the exhibition for damage incurred or loss of work while in transit. Artists are advised to insure their work during shipping. Judging: Selection of works for the exhibition will be done by the juror from the images submitted. The juror reserves the right to eliminate any work which does not meet the standards of quality for the exhibition. Award winners will be selected from the actual works displayed in the gallery. Categories and Size Limitations: If accepted, the original works must be framed and equipped with wire, ready for hanging. Images should not exceed 50 inches in width, including frame. Shipping and Pickup of Artwork: Accepted work may be hand-delivered or shipped (pre-paid) to arrive no later than January 7, 2017. Artwork will be accepted up to two weeks prior to the delivery deadline. Insurance while in transit is the artist’s responsibility. Unsold works will be shipped back at the artist’s expense. Please include prepaid return forms or payment for return shipping with your work. Agreement: Submitting an entry form to this exhibition constitutes an agreement on the part of the artists with all conditions in this prospectus. No work accepted for exhibition may be withdrawn before the close of the exhibition. After an artist’s work has been accepted by the Morean, the artist cannot substitute another work for the accepted one or raise the sale price. The Morean reserves the right to refuse an entry if, upon arrival, the juror or exhibitions staff finds the work unacceptable. Sales are encouraged and the Morean retains a 40% commission on all works sold during the exhibition. Artists will be paid for sold works within 30 days of the close of the exhibition.